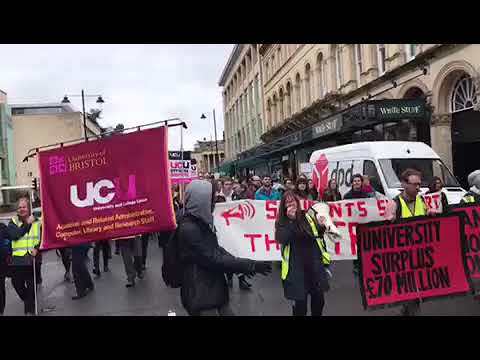 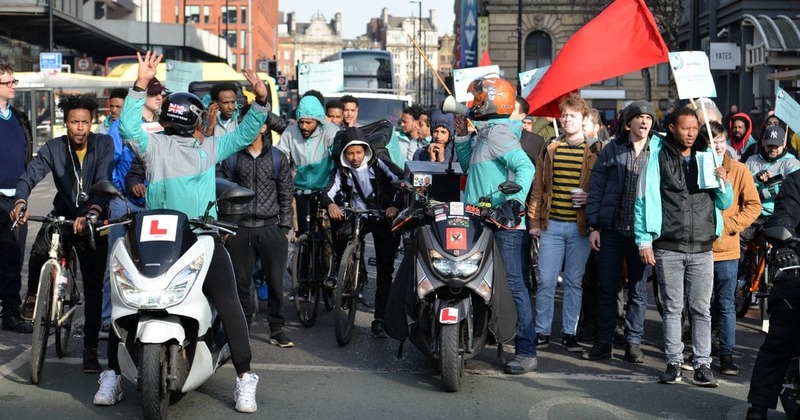 Deliveroo drivers march through Manchester city centre during their strike in February 2019. 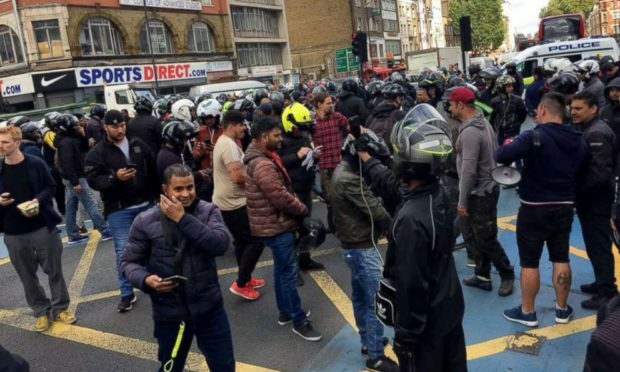 Deliveroo workers continue to resist against their poverty wages, insecure job tenure, denial of sick pay and appalling working conditions. 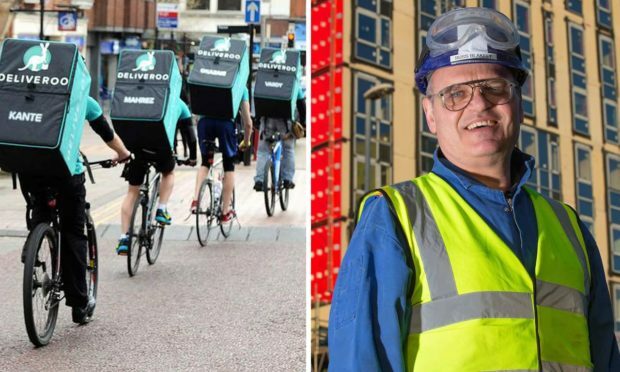 Couriers in Manchester, in concert with their fellow workers in other cities, went on strike twice in February to press for their demands, which included a minimum payment of £5 per delivery, £10 for every hour spent hanging around whilst restaurants prepared orders and at least £1 for every additional mile on the road. 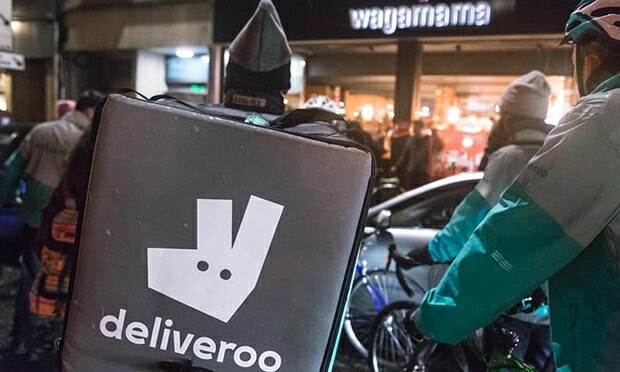 Deliveroo continue to hide behind the convenient fiction that its workers are not really workers at all but self-employed agents, therefore in possession of no employment rights or job security, let alone a minimum wage.